Rostav-na-Donu passing by Topkapı Palace. 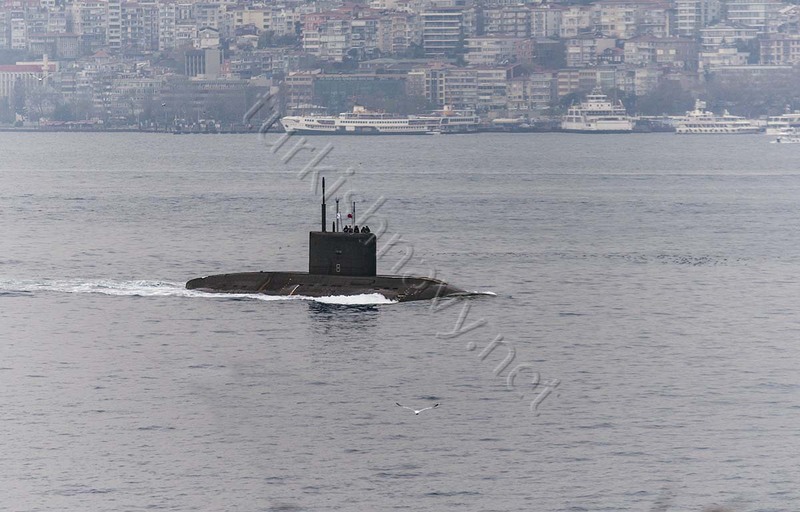 The submarine was escorted by Turkish Coast Guard boat TCSG-90. A close up view of Rostav-na-Donu. 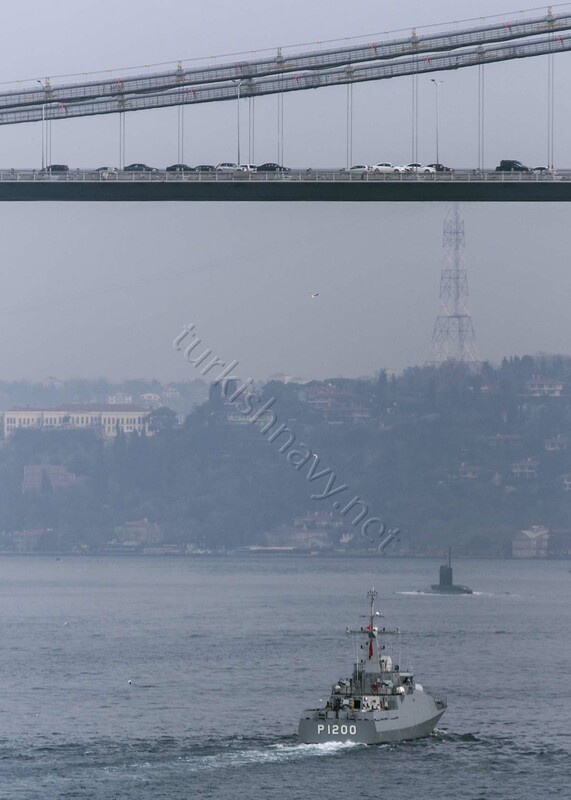 Rostav-na-Donu, was trailed by Turkish Tuzla class ASW patrol boat TCG Tuzla during her passage through Bosphorus. 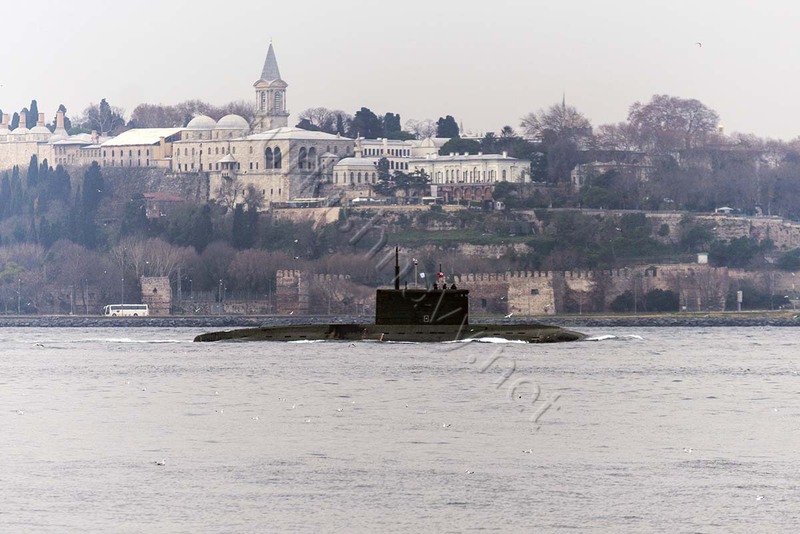 Last Sunday, on 13 December 2015, the improved Kilo submarine of the Black Sea Fleet, Rostav-na-Donu made her inaugural passage through Istanbul Strait. She is the second of a four boat of the six Varshavyanka submarines being build for the Russian Black Sea Fleet. 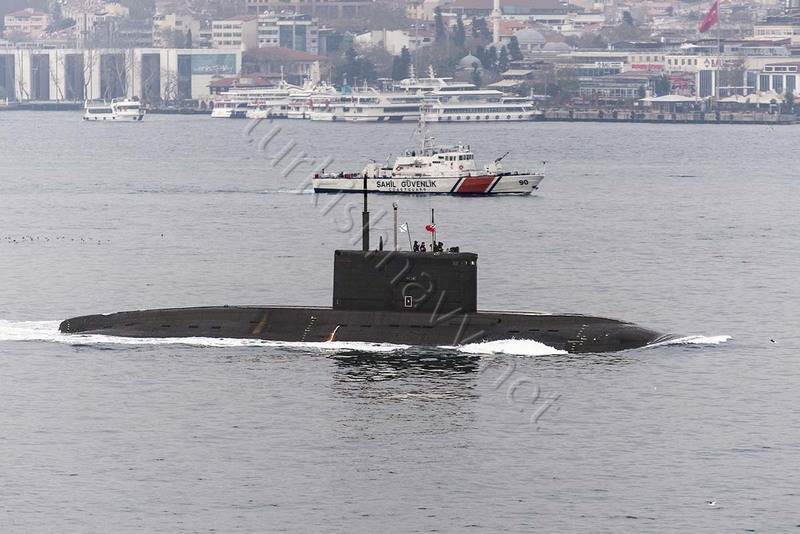 The first of these submarines, Novorossiysk has already been commissioned. Rostav-na-Donu made headlines before her arrival. 4 days prior her passage she has fired undisclosed amount 3M-14 submarine launched cruise missiles to targets in Syria. With the arrival of this boat, Russian Black Sea Fleet operates three submarines: the Kilo class Alrosa and the impreoved Kilo (Varshavyanka) class Novorossiysk and Rostav-na-Donu. 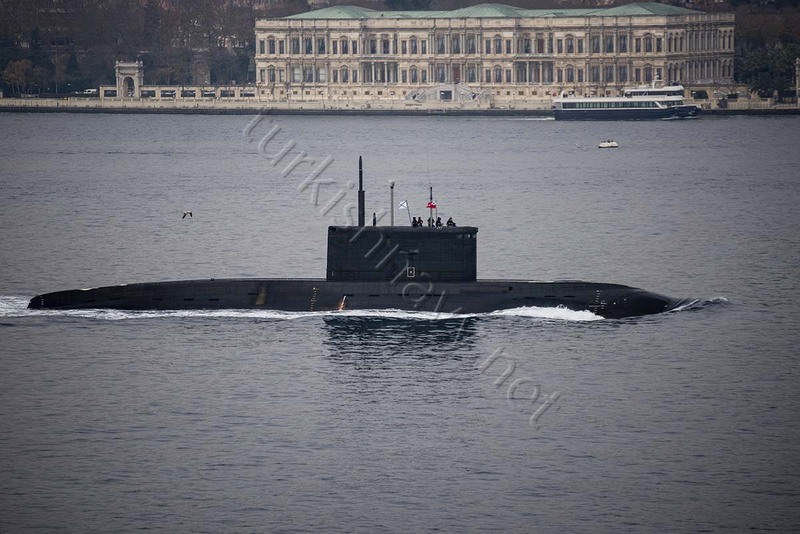 During her passage thourg IStanbul Strait, the submarine was escorted by Turkish Coast Guard vessel TCSG-90 and trailed by anti submarine warfare patrol boat TCG Tuzla.